We stumbled upon a wonderful skincare brand while scouring for vegetables at The Farmer's Market. Meet Aarohi - goodness straight from the Himalayas. Established in August 1992, Aarohi was founded by Oona Sharma and Dr. Sushil Sharma in the Kumaon region. The organisation works towards health, education, livelihood, forest and energy in the Kumaon region. What we're going to talk about is their fantastic range of products.Tries and tested, Aarohi makes products that work wonders for the 'Mumbai skin' - dehydrated, dull and a prey to daily pollution. 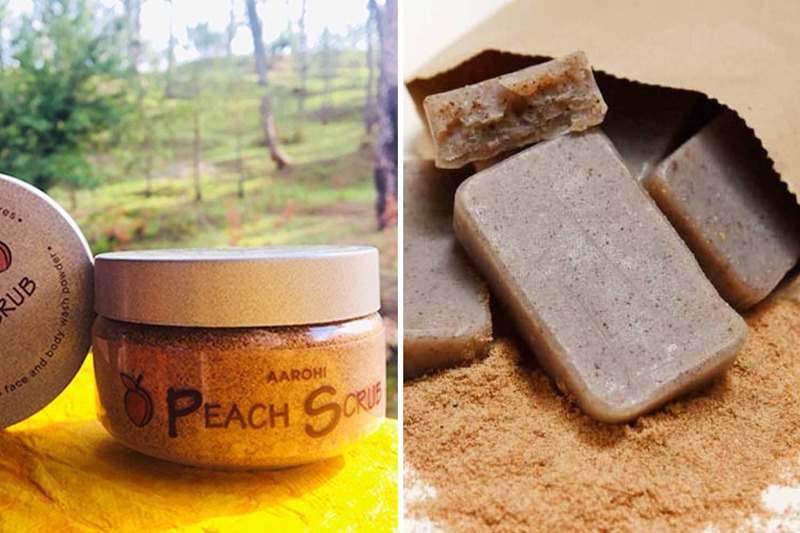 Using natural organic produce from the Kumaon region, they produce Apricot scrub (INR 79), Apricot oil (INR 149), peach scrub (INR 200) and more. Apart from skincare, they also have herbs and natural fragrances for your home. We used their Apricot Oil and Apricot Cream. While the oil worked wonders for our skin and dry hair, the cream is perfect for chapped heels, elbows and can even be used as a lip balm. Highly recommended for those who want to pamper their skin with nothing but good. Their products are way ahead of overpriced, imported brands that may not even be to suited to Indian skin. We say, close your eyes, think of all the goodness your skin and soul need, and go for it.